Home / Blog / Candy History / Sugar Plum? What Plum? Of all the Christmas candy that everyone loves, the sugar plum resigns supreme in folk lure, song, and a general representation of the Christmas spirit. This is odd, since almost no one knows what the sugar plum really is. So, I’m here to tell you. In essence, sugar plums are sugar coated seeds or nuts first made in the 17th century. They were made by skilled craftsmen who apprenticed for years, absorbing the nuances of a trade that makes Julia Child look like a scullery maid in comparison. First, they coated seeds or nuts with gum Arabic, then put them in a “balancing pan,” suspended over a large, low fire, and rolled them in sugar syrup. To keep the coating even and the sugar from crystalizing, they kept the seeds and nuts in constant motion, stirring them with one hand and moving the pan with the other. They controlled the temperature of the heat by controlling the intensity of the fire. 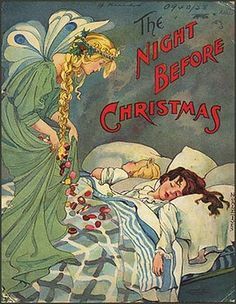 A depiction of the famous Sugar Plum Fairy. Once the candy was coated, the confectioner set it aside where it dried for a day or two, then began the process again, stirring and moving, adding layer upon layer over a period of weeks. In the last stage, the sugar coating smooth as glass, he often added a flourish of color, mulberry juice or cochineal for red, indigo stone for blue, spinach for green and saffron for yellow. These sugar-coated bits were no gob-stoppers, but eaten with great decorum, after medieval meals in fourteenth century Paris. In the early 1700s, they were given as gifts, particularly the sugar-coated almond with its symbol of joyous beginnings. The name “sugar plum” appeared in Thomas Decker’s Lanthorne and Candlelight, in 1608 but had nothing to do with plums, prunes, or any sort of poached fruit. Instead “plum” referred to the word “good.” “Sugar plum” equals “good sugar.” Given the cost and time involved in producing them, the sugar plum was also associated with money. If someone was giving a bribe, they were said to be stuffing that person’s mouth with sugar plums. “Plum” was also 18th century slang for a large amount of money. candy dry then returns it to the pan, adding yet another layer of sugar and so on. Like the old-time sugar plum, the average Jaw Breaker and Fireball takes about two weeks to make and has 100 layers. Are visions of Sugar Plums dancing in your head? Sugar Plums are available in our online store now. Don’t miss an update. Follow us on Facebook!